T/5 Cyrus Benson Choate, son of Mr. and Mrs. C. S. Choate, Graham, husband of Norma Grantham, graduate Graham High. 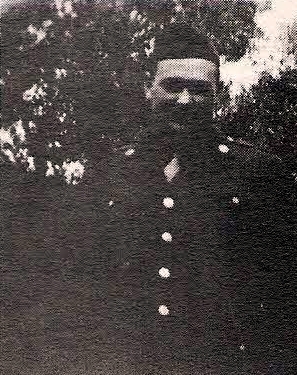 Entered Army, 1945, trained at Camp Hood, Tex. Served in Alaska and Whitehorse, Canada. Awarded ATO, APOand GCM. Discharged in 1946.